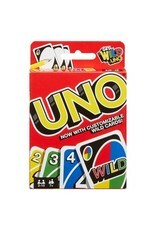 Now the classic card game of matching colors and numbers comes with customizable Wild Cards for added excitement! 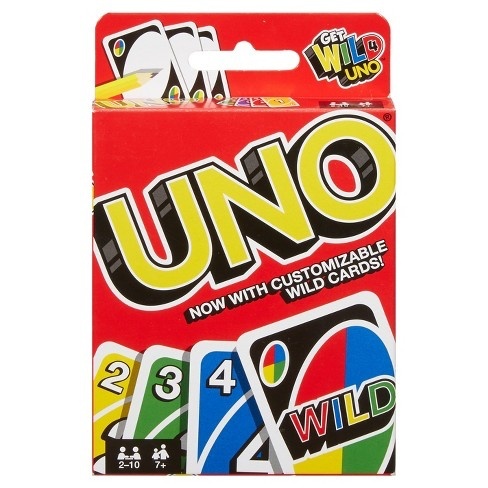 Players take turns racing to get rid of all their cards by matching a card in their hand with the current card shown on top of the deck either by color or number. Special Action cards deliver game-changing moments and help defeat opponents! Use the Swap Hands card to change hands with any other opponent and write your own rules using the 3 customizable (and erasable) Wild Cards!